To say Charles is extremely competitive would be an understatement. If he loses a card game, he’s on the brink of a breakdown. He can’t stand it. It is also easy to ruffle his feathers, which I really like to do. A few smart comments or jabs and he’s coming after you. For some reason I find this amusing and do it quite frequently. 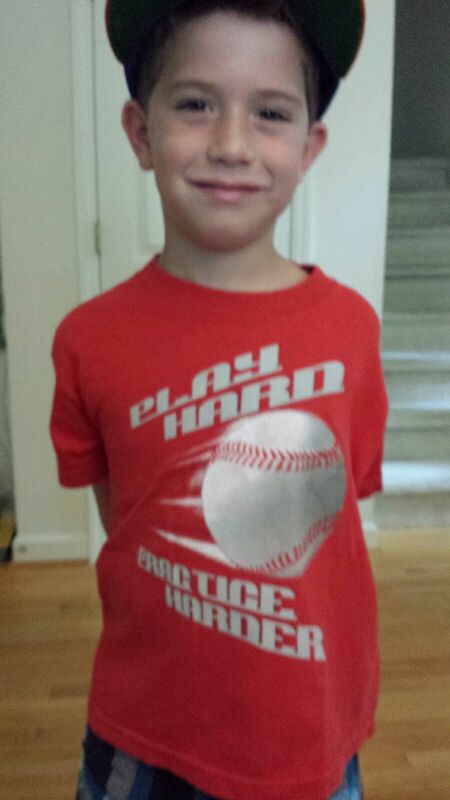 Even though Charles is only 6, his grandfather (my dad) and I have tried to instill in him the importance of practice. One of the lessons my dad taught me at an early age and has stuck with me since is no matter what you do, your goal should be to be the best. The way you become the best is through hard work and practice. For instance, my dad saw a kid about Charles’ age playing baseball and thought the kid was pretty impressive. Charles was visiting at the time so my dad told Charles about the kid. He gets it. And he doesn’t just say it, he actually started practicing more. He is able to carry the idea over to all sports and other aspects of life. He understands the benefit of practice and the process it takes to improve. It is much easier to communicate why he should spend more time reading or working on math. He has reaped the benefits of hard work and realizes the results are worth the effort. I guarantee that 99% of the people that are very successful didn’t just stumble into their success. They achieved their position in life because they outworked their peers. Whatever your occupation may be, learn from Charles and dedicate yourself to practice. Baseball season is finally in full swing at all levels. While games should be the focal point of a baseball player’s routine, it is critical to maintain a training schedule. These concepts can be applied to any sport, but baseball has the most games and longest season making in season workouts more imperative. This is mainly geared towards high school athletes as most college programs (hopefully) allow for time in the weight room during the season. Professional baseball players have a game every day for 6 or 7 months. Do you really think they don’t touch a weight for over half a year? Also, a younger athlete is more likely to undergo detraining more quickly. For an athlete that is completely physically developed (20 yr +), noticeable detraining effects occur after 4 weeks of not working out. High school athletes are more likely to notice detraining effects around 2 weeks of no training. Also, the high school athletes will lose more of the gains made during the off season. A maintenance program can go a long way to ensure the athlete stays at peak performance through the season and won’t have to start over once the season is over. 1. Avoid heavy eccentric movements- The eccentric (lengthening of the muscle) phase of the lift is where the trauma to the muscle occurs that allows for it to grow back stronger, which is why soreness occurs (NOT from lactic acid). 2. Don’t change the exercises- Choose exercises that you have used in the off season and stick with those throughout the entire season. This way, your body won’t have to constantly adjust to new stresses. 3. Keep the workouts short- Make sure to include the multi-joint lifts that hit the major muscle groups. Auxiliary work isn’t necessary in season, and for baseball players this usually just includes curls. 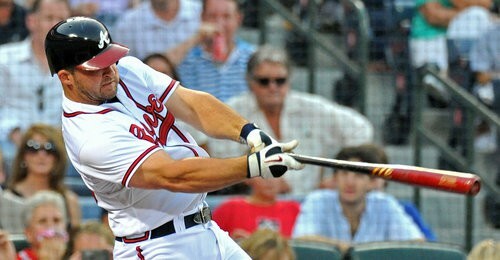 Sorry, but huge biceps don’t help you hit the ball any further, Dan Uggla being the exception. Forearm work is acceptable. 4. Include movement work- As many reps as you take in baseball on one side of your body, it’s easy to get jacked up very quickly. Implementing a dynamic warm up appropriate to dealing with these asymmetries can help “reset” your body. Scap/Thoracic spine, hip, and ankle mobility should be the general focal points here, but each person will be different. A maintenance program is just that- doing enough to help you maintain throughout the season. Basic periodization should still be applied, including getting up to 85% or greater of your 1RM. Just make sure to keep the volume low and build up to it and no soreness will occur. Something as little as 3 multi-joint exercises twice a week can go a long way in helping you keep strength and power throughout the season. That will allow you to include your movement work and still keep the workouts around 30-45 minutes. 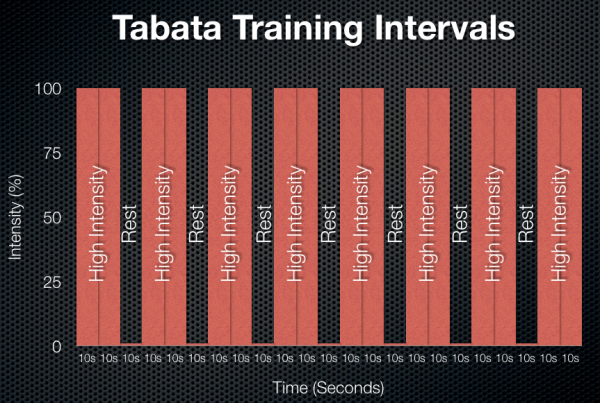 Tabata training is a hot topic today in the fitness world. For some reason, I got a wild hair today to try it. I had heard a lot about it, but never had the courage to try it out. I am a fan of high intensity interval training (HIIT) and was looking for something new so I figured what the heck. For those of you that aren’t familiar with Tabata training, it is interval training where you exercise for 20 seconds with a 10 second break, and repeat. It was started by Izumi Tabata, a Japanese scientist, who did research on speed skaters comparing this training method to steady state training (long distance). The group that performed the intervals showed a greater increase in VO2 and also showed improvements in their anaerobic capacity. Because I haven’t done any cardio in awhile and was scared by the 2:1 work:rest ratio (I usually do a 1:3 work:rest ratio for intervals), I did not get anywhere close to the recommended intensity which is about 170% of your VO2 max. In layman’s terms, working at 170% of your VO2 max with a rest break that is half the time of the exercise time will make you want to pass out or throw up. My other excuse is more valid. I started a new workout program this week and this was my off day for lifting between a full body day and a lower body day, and I didn’t want to ruin myself for a leg workout I had never done before. I lost count, but I completed around 8 cycles which is the recommended number. This was a pretty solid intensity for me to get my feet wet. It was definitely challenging, but I didn’t feel like I was going to die after I was finished. The 10 second rest goes by really fast and you don’t recover much so I wouldn’t suggest trying to set a world record the first time you do it. It is a great tool for fat loss, as all interval training is. If you are looking to switch it up a bit, try out Tabata training and let me know how you like it. This is the second part of the Increasing Athleticism series Brian Dempsey and I are double teaming. Part 1 can be found HERE. When looking deeper into the reasons why it is important to train in all three planes of motion, you have to consider fasciae. Simply put for our purposes, fasciae is the connective tissue that surrounds the muscles and links the kinetic chain together. A good visual that is used to describe fasciae is the skin around link sausage. There are numerous fascial meridians which connect specific areas of the body to each other. This is basically the body’s system of “highways and interstates” that connect everything efficiently. Because of how these fascial meridians are connected, there are certain movement patterns that assist other movement patterns (kinetic chains). Tom Myers proposes to look at the body not as 650 muscles, but one muscle with 650 fascial pockets. This is why integration is so key when looking at movement and training athletes. Fasciae has an elasticity property that is similar to a rubber band – the more you stretch it, the more energy it stores up. Therefore when fasciae is loaded, it assists the muscle with the task at hand. Because of the stretch resulting from a functional, full chain movement, an athlete will now maximize his/her power, strength, and explosiveness. All training exercises should be executed in all three planes of motion and should be integrated together when possible. Isolation lifts have their place, and are effective in adding strength. However, this should not be the primary focus of an entire program. Rather, the isolation lifts should be supplemented in as remedial exercises as specific weaknesses are identified in the individual. It is very beneficial, especially to an athlete who is inexperienced in the weight room, to include more fully body movements in their program. One general rule of thumb to use here is general to specific and/or isolated to integrated throughout the workout so the athlete works on his weaknesses separately then learns how to put it all together. An example of exercise selection that demonstrates this idea is a landmine push press instead of bench press. With this exercise, the athlete is standing as opposed to laying on their back. This will allow for the athlete to generate power from the ground and up the kinetic chain, through the chest and into the arm. By utilizing the different variations, you can focus on different parts of the chain. The bilateral stance (feet side-by-side) is more strenuous on the chest/shoulder but also is a good anti-rotation exercise for the core. 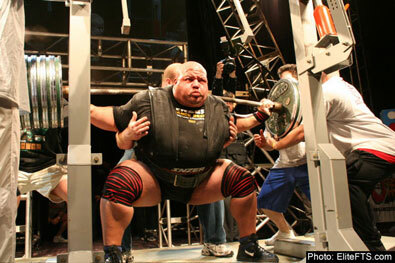 Adding a squat would obviously provide more of a full body explosive exercise. 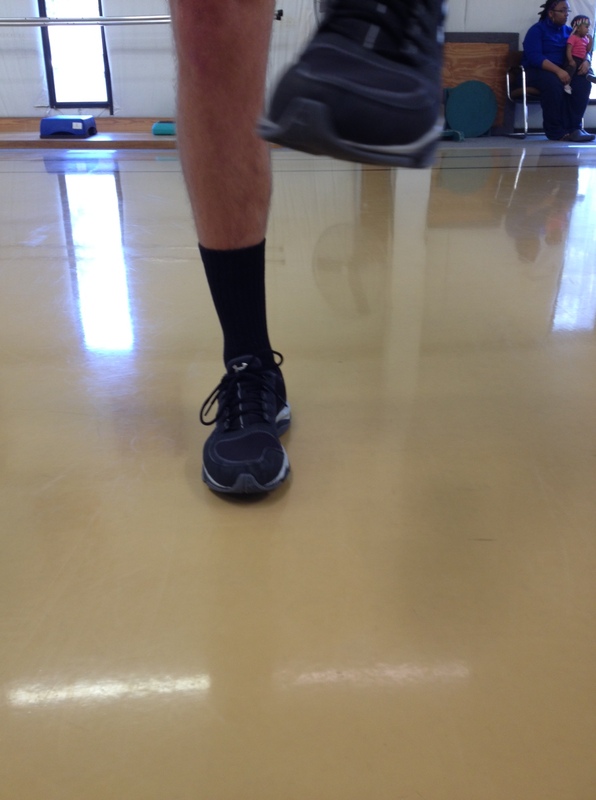 Staggering the feet takes away the anti-rotation challenge, but can allow you to add a small twist to work on explosiveness through rotation (think shot put throw). Med ball throws would also fall into this same category. In the Strength for Athleticism video below, Chuck Wolf pointed out that when a person has a lack of stability in an area, the body splints down on that spot to stabilize it resulting in a lack of mobility of the compensated area. If we are able to strengthen and stabilize the compensated area, the body will open back up and regain its proper range of motion (5:30-7:40 in video). For Part 3, we will begin to examine program design and how to apply the ideas we have discussed. A traditional thought process in baseball that has been taught for years is the necessity to be able to balance on the push leg during the leg kick. 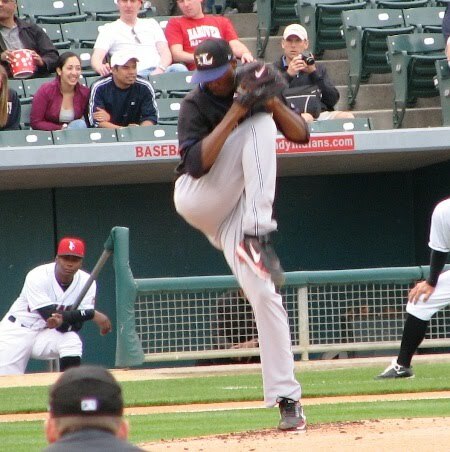 A drill has been utilized where the pitcher is instructed to go through his motion until his leg lift and pause with the knee in the air, like the position in the picture below. Dan Haren (pictured above) is the one pitcher that comes to mind when you think about a pause at the top of his leg kick. I do not know for certain why he does that, but I’m sure he has a good reason. I won’t beat around the bush, I am not a fan of the drill and actually believe it to be counterproductive. Here is the logical and biomechanical argument against the balance drill. Let’s start with the fact that this is very similar to the field sobriety test used for a DUI, so unless you’ve been drinking, it should not be challenging. For me, the dislike for the drill comes from the thought process behind it which seems to be “I’m going to use this with the kids I coach because this is what I did when I was growing up.” This is a huge problem in the coaching and strength and conditioning field. We should know the reason behind everything we implement instead of just doing it because that’s the way it has previously been done. I also do not see how it transfers over to the actual pitching motion. When you study the pitching motion, you will see that very few pitchers that ever come to that position. Most pitchers have their hips moving down the slope when their leg kick reaches the peak. If you look at this slow motion video of Trevor Bauer, you will see as his lead leg lifts, his body slowly begins to generate motion down the slope. If you were to draw a vertical line from his push foot, it would not go through the back hip (1:18-1:21 of the video). 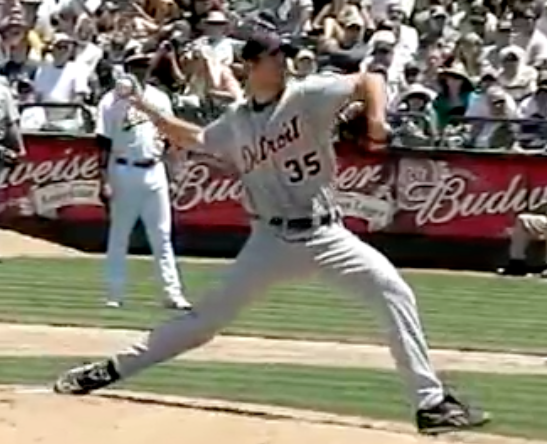 The argument against creating momentum in this manner is the pitcher’s body would get ahead of his arm, resulting in poor accuracy (usually missing high and arm side) and increasing the chance of injury. I would politely disagree with this argument. If you were to take a large sample size of professional pitchers, you would see a majority of them do not line up in the vertical position the balance drill teaches. Rather, they tend to be more similar to Bauer. It is easy to see in this picture of Arnoldis Chapman. He is at the peak of his leg kick, and his body has already started to work its way down the slope. And Chapman throws really hard. An easy way to check to see if the body is getting too far ahead of the arm is to check the position the pitcher is in when his front foot makes contact with the ground. The wrist and ball should be above the throwing shoulder, while the elbow is slightly below. If the ball is below the shoulder at this point in the deliver, then the arm will be late. This could also be a result of breaking the hands late so make sure you are looking at the entire picture. 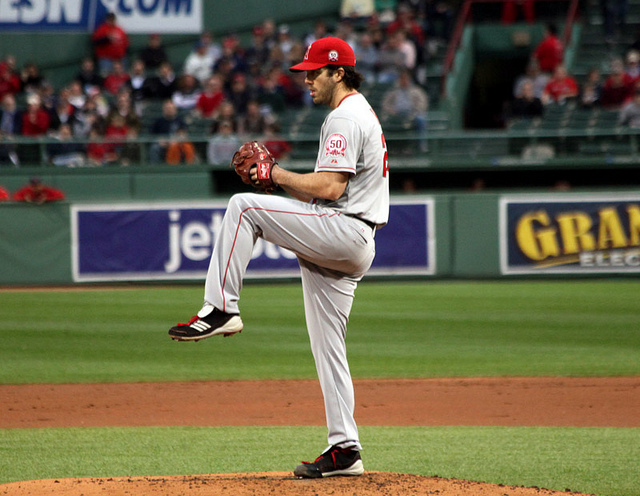 Instead of focusing on balancing on the push leg, concentrate on what the foot does during the leg kick. A common problem is for the foot to supinate (rotate towards the rubber) which results in an energy leak. For the glute to be properly loaded, the pitcher must push off of the ball of his foot. This allows energy to be efficiently transferred from the ground up the kinetic chain, through the hip and thoracic spine, into the shoulder and throwing arm. If the foot supinates, the glute does not properly load and there will be more stress placed on another part of the kinetic chain, most likely the arm, to make up for the lost energy. The balance drill is usually used with younger pitchers up to the high school level. This is the time in development where there should be an emphasis on using the lower body since kids of this age usually struggle with full body movements. If you are able to improve athleticism at this time, the pitching mechanics will smooth out on their own and the athlete will become much more efficient in all of his movements, not just pitching. From my experience with working with high schoolers, very few of them use their lower body and hips as much as they should. Some kind of lateral plyometric would be much more beneficial. 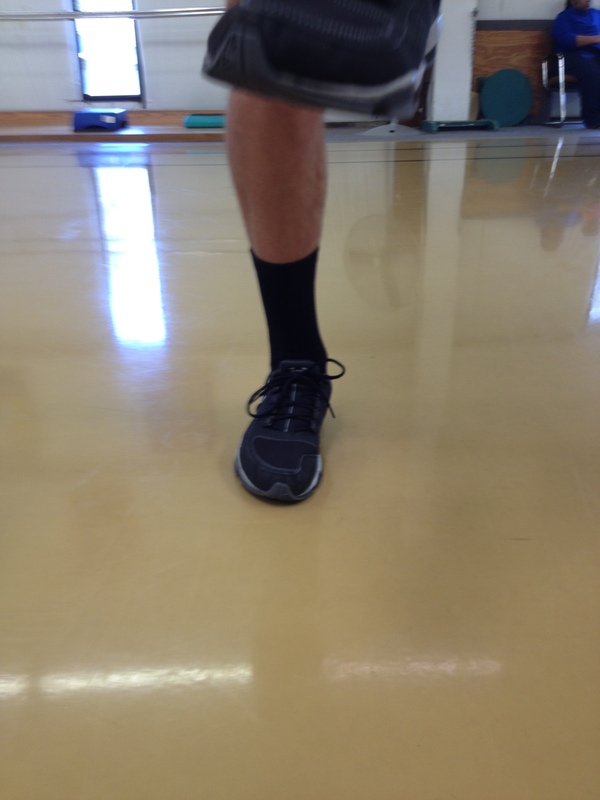 A movement such as the Lateral Lunge Shuffle teaches lateral explosion by pushing off the inside of the foot. By adding a weight and a reach, you also work on deceleration through the posterior x factor (opposite hip connected to opposite shoulder) into the landing leg with internal rotation of the hip. This is the same movement used to decelerate the body after a pitch. The point of this was not to bash a single drill or the people that use the drill, but to show the merit of examining each drill or exercise we use. As demonstrated here, a simple modification to a traditional drill can be very beneficial. My good friend Brian Dempsey and I decided to team up to address an issue that is basically the underlying principle of training any athlete. Brian and I played baseball together in college, and he is currently a Licensed Massage Therapist and baseball coach in Orlando. Through our own experience as athletes, working with people that are way smarter than us, and training athletes ourselves, we have found that taking a slightly different approach when trying to increase athleticism can make a big difference. Through a multiple part series, we will attempt to scratch the surface of this topic. Let’s start out with a few definitions so everyone is on the same page and not confused by the terminology. We will define athleticism as an individual who has maximal control over their body’s movements while moving in a way that is also biomechanically efficient. 3 planes of motion refers to the 3 basic movement directions we as humans move through during every day activities. Usually, exercises are broken down into the plane in which the movement takes place. For example, a forward lunge would be a sagittal plane movement and a lateral lunge would be a frontal plane movement. Strength is usually taught in an isolated state, in 1 plane, with concentric contractions occurring without an eccentric load prior. For traditional strength, we are referring to absolute strength, or how much raw weight someone could lift. Functional strength is being able to maintain stability AND mobility through a full range of motion (ROM) in a movement pattern relative to your sport or activity. Integration: Integration is using the entire, or as much of the kinetic chain, as possible. The opposite of integration is isolation, which is considered to be a single plane exercise with limited body parts and/or muscle groups. Quality of motion: Quality of motion is how biomechanically efficient a movement is. In other words, how smoothly or fluidly the motion is performed. You hear people say they want to be bigger, stronger, and faster all the time. Therefore, many go to the gym and train themselves using primarily traditional lifts such as bench press, squats, and power cleans. As much as these lifts will increase an athlete’s overall strength and power, it doesn’t matter how powerful an athlete is unless they are moving in a way that is biomechanically efficient. Often you see younger athletes in the gym attempting to bench press and they are struggling to keep the bar from waving all over the place, not to mention complete the rep. This is far from the most efficient way for an athlete to increase his strength and speed, and it is probably not that applicable to their sport. Muscles are stabilizers first, and movers second. If you can’t stabilize your body, then your body cannot move as quickly or powerfully as it is capable of moving. Compare this to running on the beach as opposed to running on a track. We are significantly slower on a beach than on a track because sand is an unstable surface and the track is stable. When this is the case, the fix is not trying to squat a small house. Instead, it is much more beneficial to increase your overall athleticism. Fixing insufficiencies such as running mechanics, poor movement patterns, body stabilization and immobilities, can go a long way towards improving performance and getting more out of the ability you currently possess. Look at the quality of the movements instead of quantity of weight on the bar. Instead of getting in the gym and attempting to squat a house, try increasing your overall athleticism. Find the positions, directions, or movements you cannot control, or complete fluidly, and improve those by repetition. This is where all athletes should start. If the quality of the motion is maximized, performance will increase. 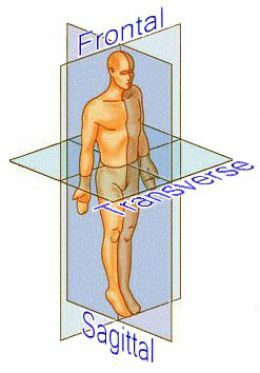 What body segments are weakest? What movements feel restricted or slow? It is best to take a step back and work on remedial and corrective exercises to eliminate any compensations or limitations. As always, please leave your feedback in the comment section. We would like to hear your thoughts on the subject. For Part 2, we will look at example exercises and why they increase athleticism. You can contact Brian through his website, www.brian-dempsey.com, or by email at brian.dempsey11@gmail.com. It was amazing to me that even with his limited grasp of the English language, he realized that “want” didn’t adequately convey how he really felt. 1. He set a lofty goal for himself. I would be surprised if any other kid in the league had scored 6 points in a game this year. But 6 points wasn’t enough. He needed to score 10 points. It didn’t matter to him that it was a high scoring game for that league and both teams combined scored 10 points. He could do it, no doubt. 2. The use of the word “need”. It wasn’t just a desire he had, it was a need. What if instead of wanting to accomplish our goals, we needed to accomplish our goals? What if we had the attitude of “I need to get that job” or “I need to get that scholarship” instead of just wanting it. Our mentality and actions would change completely. Side Note-My sister struggles on these videos. He did take the shot that went in. Notice the half hop back down the court after he makes it. Everyone wants to be successful. I’m pretty sure no one has the dream of growing up to be lower-middle class and live paycheck to paycheck. Not everyone is willing to make the sacrifices and put the time in to become successful. Change your mindset and see if the results don’t change as well. Bonus: I also had this conversation with him about the same game. He had mentioned several times how he thought #4 on the other team was really good. Me: So #4 sounds pretty good. Charles: Yea, he was really good. Me: Was he better than you? Can’t say he’s not confident.